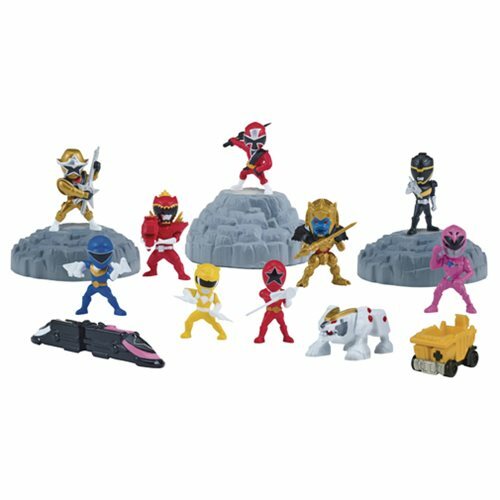 All your favorite rangers, zords, villains, and vehicles are now miniature! These blind capsules feature rangers, zords, and vehicles from the original Mighty Morphin Power Rangers all the way to the Power Rangers Movie, and everything in between. Stack your figures, pose them with their zords, and stage miniature battles with countless possibilities and combinations. The capsules can even be used as dynamic dioramas to showcase your collection. Collect them all today! Ages 4 and up. This Power Rangers Capsule Mini-Figure Display Case contains 24 individually packaged blind capsules.